Our High Quality Instrumentation Grade Needle Valves Are Designed For Heavy-Duty Process Applications Or Other Industrial Applications That Require High-Pressure Carbon Steel Or Stainless Steel Shut-Off Valves. 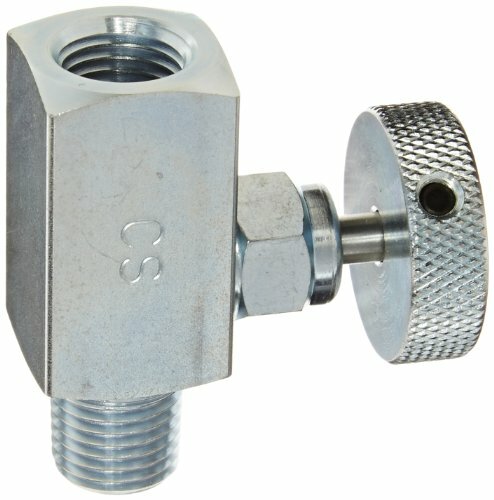 Our Valves Are Available Hard Seat (10,000 PSI) Or Soft Seat (6,000 PSI), 1/4" Or 1/2"NPT, Straight Or Angle Pattern, Male X Male, Female X Female Or Male X Female. If you have any questions about this product by PIC Gauges, contact us by completing and submitting the form below. If you are looking for a specif part number, please include it with your message.